All studies conducted show Google ad spend, click through rates, and Shopping ad spend are relatively stable. Both Google and Facebook are still the leading and more preferred platforms when it comes to paid advertising. Shopping ads are about 27% to 28% of the total ad revenue generated by Google. On average, Amazon currently gets 21% of a business’s advertising budget; some businesses step more. 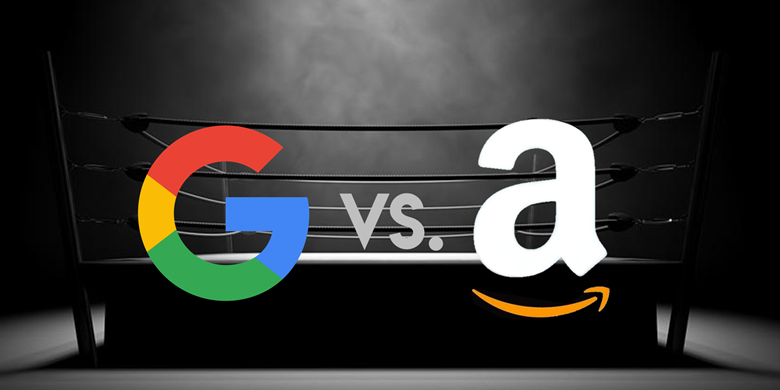 Amazon beats Google on product search because 55% of online shoppers will look through the Amazon platform before they search on Google. This has led to speculation that the e-commerce giant might disrupt the Google-Facebook dominance in the digital advertising market. This platform offers two options; Headline Shopping Ads and Sponsored Product Ads. Analysis indicates that HSA has higher visibility and returns. Ads show up at the top of search results and receive a high CTR of around 2.68%. The SPA has lower CTR of around 0.49% but it receives higher ad spend. Trends show that companies prefer SPA to HSA. A combination of both gives marketers a considerable amount of visibility on Amazon, which can lead to higher conversion rates and better sales. These PPC ads see around 10% conversion rate, which is substantial when compared to 1% to 2% rates of Google AdWord campaigns. Google ads will take users to a brand website. Amazon ads will keep users on the website. All types of Amazon ads aren’t available to all sellers so the options can be limited. Amazon ads don’t capture behavioral information to retarget, which sets it apart from Google. Unlike Google, Amazon will factor in unique parameters like reviews. That adds some complexity to the bidding process. CPC is slightly higher than Google cost per click, which means you might have to spend more on campaigns. But ROI is also higher on Amazon so the additional expense is worth it. Both platforms share a lot of similarities when it comes to keywords, targeting, bidding, ad groups, etc. This makes it easier for marketers with AdWords experience so they’re more likely to experiment with Amazon. If you want to know about our marketing or hire our services, don’t hesitate to call us or contact us through our online form at Insignia SEO.